Coptis, also known as Chinese goldthread, is one of the 50 Fundamental Herbs in traditional Chinese medicine, where it is known as Huang Lian and associated with bitter and cold qualities that counter dampness and fire. The rhizome of the plant contains berberine, which yields a golden yellow dye used to color wool and leather. active compounds Isoquiniline Alkaloids, Worenine, Coptisine, Berberine. appearance & aroma Fibrous with gold coloring; no remarkable aroma. cosmetic Decoctions of coptis root are used topically to reduce inflammation. The root can also be powdered and applied as a dry dressing or moist poultice. safety This herb may inhibit the absorption of tetracycline. Do not use during pregnancy. Consult a health care practitioner before using if you have a history of gallbladder disease. 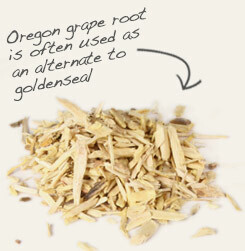 Combine with Oregon grape root bark in topical formulations, which also contains berberine. 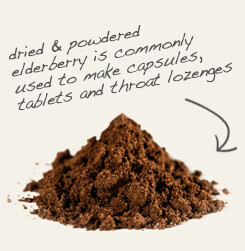 Encapsulate coptis root and powdered elderberry together to enhance astringency. Coptis, or goldthread as it is commonly called, is a perennial member of the buttercup family that is native to China. The roots have been harvested for thousands of years as a source of berberine, an isoquinoline alkaloid also found in goldenseal, barberry and Oregon grape root. This pigment is responsible for the rich yellow made from the root of this plant, which has historically been used to color wood, leather and wool. It is still used commercially as a natural dye for wool in India. Other alkaloids in coptis root include coptisine, palmatine and hydrastine. In the early 20th century, the latter was used to synthesize hydrastinine, a drug patented by Bayer that was used to stop bleeding. 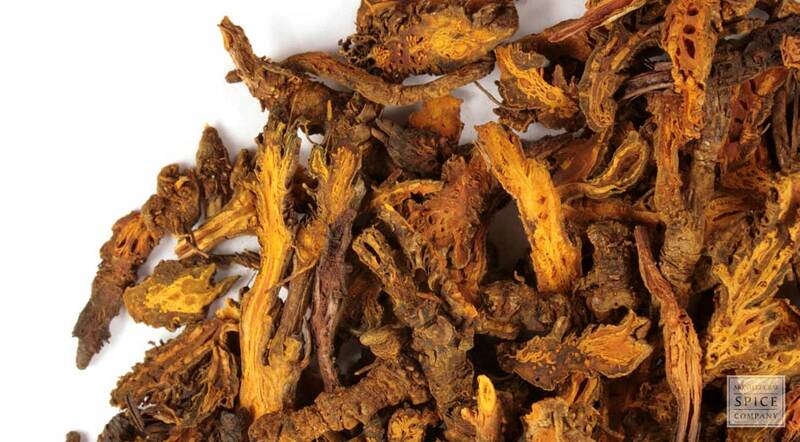 Coptis root has a long history of use in China, where it is known as huang lian and designated as one of the 50 Fundamental Herbs recognized in Chinese herbalism. While the astringent alkaloids in the root are well known to be anti-inflammatory, this herb may also stimulate bile production and should be used with caution in people with gallbladder disease.